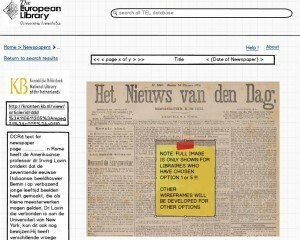 Be the first one to test the Europeana Newspapers Browser! This entry was posted in News and tagged Aggregation, content browser, presentation, Workshop by eurnews. Bookmark the permalink.